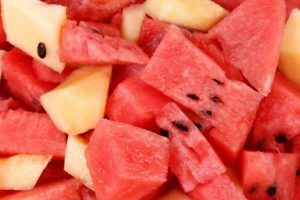 Precut melon linked to 93 illnesses | Siegel Brill, P.A. 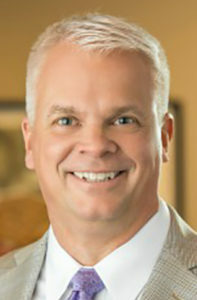 Salmonella lawyer Elliot Olsen has regained millions for clients. If you or a family member were sickened by precut melon, you might have reason to file a Salmonella lawsuit. Please call (612) 337-6126 for a free consultation. Products from Kroger, Target, Trader Joe’s, Walmart, and Whole Foods are involved in a multi-state Salmonella outbreak of almost 100 illnesses linked to precut melon. Both the Centers for Disease Control and Prevention (CDC) and the Food and Drug Administration (FDA) announced the outbreak/recall involving precut melon provided by Caito Foods – the second such occurrence involving the Indianapolis-based company in the past year (see below). Precut melon products from Kroger, Target, Trader Joe’s, Walmart, and Whole Foods are involved in a multi-state Salmonella outbreak of almost 100 illnesses. The products, which have been recalled, contain cantaloupe, honeydew, watermelon or mixed fruit, and they were sold in 16 states. Officials are advising consumers not to eat precut cantaloupe, honeydew, watermelon or mixed fruit sold at the aforementioned stores in 16 states: Illinois, Indiana, Iowa, Kansas, Kentucky, Michigan, Minnesota, Missouri, Nebraska, New York, North Carolina, Ohio, Pennsylvania, Tennessee, West Virginia, and Wisconsin. Whole Foods: Whole Foods Market. Check your fridge and freezer for the recalled products and throw them away or return them to the place of purchase for a refund. If you had any of the recalled products, follow these steps to clean your fridge. The CDC reported that 93 people – 23 of whom have been hospitalized – have been sickened in nine states. Confirmed cases of Salmonella Carrau have been reported in Alabama (1), Illinois (5), Indiana (18), Kentucky (16), Michigan (19), Minnesota (3), Missouri (3), Ohio (27), and Wisconsin (1). Illnesses started on dates ranging from March 4 to March 31. Ill people range in age from less than 1 year old to 98 years old, and the median age is 53. Fifty-seven percent of the victims are female. Last summer, Caito Foods was involved in a nine-state Salmonella outbreak in which 77 people were sickened, and 36 of them needed to be hospitalized. In that outbreak, Salmonella Adelaide was the responsible serotype (a serologically distinguishable strain of a microorganism). Salmonella cause a foodborne illness called salmonellosis. According to the CDC, about 1.2 million Americans contract salmonellosis yearly; about 23,000 people will be hospitalized because of the infection; and 450 victims will die because of it. Most people who become infected with Salmonella ingest the bacteria from contaminated food or water. Salmonellosis symptoms include diarrhea, fever, and abdominal cramps, and they usually begin 12 to 72 hours after exposure to the bacteria. The illness usually lasts four to seven days, and most people recover without treatment. For some people, however, diarrhea becomes so severe that dehydration occurs, and then hospitalization is required. If this happens, the infection can spread from the intestines to the bloodstream, and then to other places in the body. People at the greatest risk of developing salmonellosis include the very young and the very old, anyone with a compromised immune system (most predominately, pregnant women), or anyone suffering from a disease of the intestinal tract, such as inflammatory bowel disease. In addition, healthy adults become more susceptible to a Salmonella infection when they take an antacid, which lowers the stomach’s acidity, or an antibiotic, which reduces the number of Salmonella-killing bacteria in the intestines. Wash your hands before cooking and after being around animals. Always wash raw fruits and vegetables before eating them. Avoid cross-contamination by keeping raw vegetables away from raw meat, poultry, and eggs. Always cook meat and poultry to the proper temperature; use a food thermometer. Drink only pasteurized milk and juices.